George Jetson actually had to have his hands on the wheel (or stick) when he flew his car, so what would he think if he didn’t have to drive at all? For us, a picture of kicking back with eyes closed might come to mind, but you better keep them open. The police will be using their autonomous vehicle technology from Ford to track traffic violations. Better watch your driving, because getting a ticket could soon be that much easier for law enforcement. Ford, a long-time supporter of law enforcement officials, has just filed a patent for an autonomous police car capable of detecting traffic violations. The machine will be able to communicate with the driver of the offending vehicle to verify identity and instantly issue a citation. The automatic ticketing car will be able to capture the license plate number and even pursue the driver before communicating with them. No room for getting yourself out of a ticket there. By taking the personal detail out of a mundane chore of traffic ticketing, police officers will be freed to work on following more complex crimes. The patent that Apple just had published late last year was their first dip into the pool of the autonomous vehicles. More specifically, this patent is in the area of navigational technology. Routes would be developed that could then be loaded into the vehicle’s memory to be able travel by itself (for at least part of the trip.) 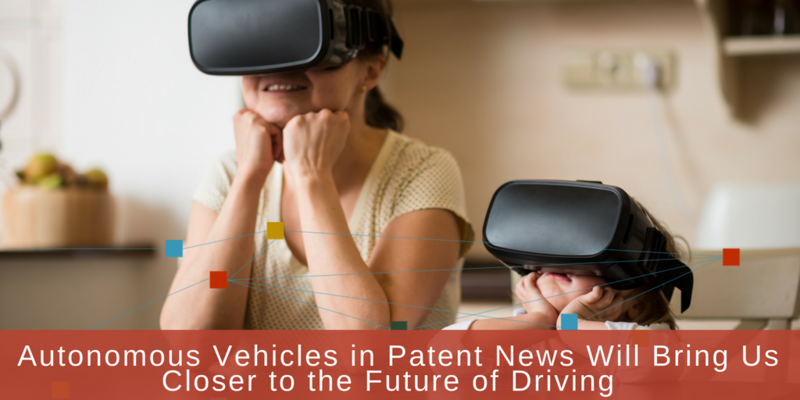 Although Apple expects to continue on this road for more patents in the area of autonomous vehicles, safety will remain a major concern. Drivers would need to remain alert for unexpected obstacles. More work will be needed with this branch of technology. If you’ve ever wished you could get a TV-like perspective while spectating at a live event, Apple may be ready to grant your wish. A patent for a video headset is in the works that includes many enhancements you normally receive only at a theater or the comfort of your own home. Need to hear the event better? Select surround sound. Need a better angle to view that football play or need to see the goal line better? Select a different perspective. Want to know what it would be like if you were sitting somewhere else? Choose the perspective of a better seat and follow along. Now you have no excuse to sell your Super Bowl tickets. Every seat will be the best seat in the house. Amazon, like any other company, wants to make sure their workers are busy. But have they gone a step too far? They have patented wristbands that use ultrasonic sound waves to monitor their employees’ whereabouts in the warehouse. The wristband will also track their movements and send them impulse reminders for such events as lunch or breaks. While this tracking system could make the workday look much more efficient, questions arise about the workers’ privacy. Recently, Blackberry decided to wash its hands of dealing with patents. A licensing company called Teletry will be sublicensing Blackberry’s patents to global smartphone vendors for them. Blackerry will retain ownership of the patents, but must work under the agreement made with Teletry. The deal will help Blackberry to focus on monetization as the move affords them less distraction. Stay on top of breaking patent news to make sure you are at the cutting edge of technology. Your next idea might spring from someone else’s thoughts. We can give you that glimpse into the future that you need. Give us a call if you want to learn how. © 2016 IPVision, Inc. All Rights Reserved.